Whoever coined the phrase “the middle of nowhere” could have had Iceland’s highlands in mind. It’s a vast, unspoilt and unpopulated wilderness--40,000 square kilometres of endless deserts, mossy fields, and snow-covered mountains at the centre of the island. The scenery here ranks among the world’s most dramatic, with a landscape marked by ice caves, hot springs and horses roaming freely. Not surprisingly, the region attracts more adventurous visitors every year. There is some wonderful hiking to be done in this remarkable part of Iceland, and of course, hot springs to relax in. The northern lights can be best seen across the region between September and April. However, many roads to the highlands are closed to the public from September. Visiting the highlands in the winter months typically means joining a tour with specially-modified vehicles to navigate the snowy terrain. Þórsmörk region, named for the famed Norse God Thor (Þór), is a stunning landscape of mountain ridges, valleys and glaciers. This is a major hiking and trekking destination and, thanks to its pitch black night skies, is an excellent place to see the northern lights. To access this area in winter, you will need to visit on a tour. There are several routes to take in the area ranging from short day trips from Rekjavik to multi-day treks. Laugahraun lava field is a huge lava field in Landmannalaugar. The natural hot water rivers and warm pools give off steam, which creates a unique atmosphere making for some terrific and unusual photographs of the lights. But you will need a specialist guide to ensure that you don't get stranded among the active volcanoes! There is a 75-bed camping hut owned by Ferdafelag Islands at the edge of the lava field in Landmannalaugar. You must visit with a guide in the winter months. Hekla Volcano is about 30km from Landmannalaugar. The unusual natural angle of this 1,491m-high volcano and its constant cover of snow creates another unique opportunity for photographers. Again, you’ll need a guide to find your way around what is one of Iceland’s most active volcanoes (the most recent eruption was in 2000). The highlands region is an uninterrupted wilderness with incredible landscapes. 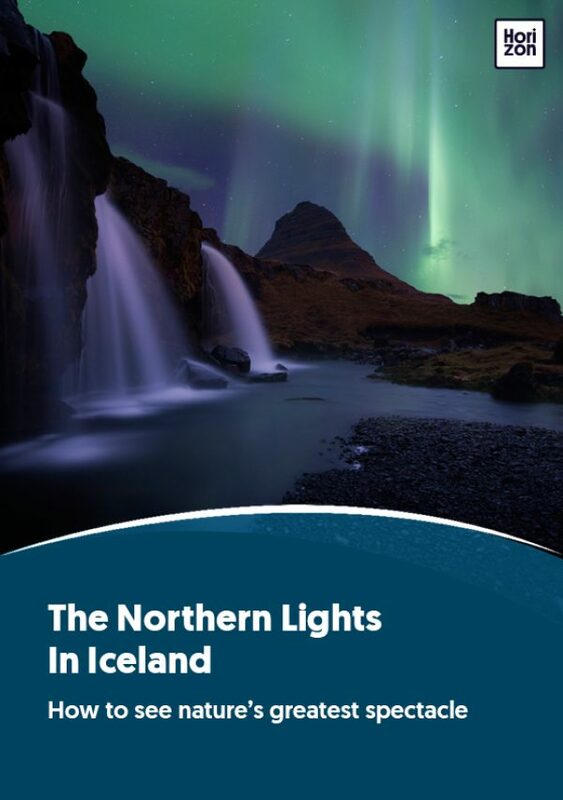 Because it is so remote there is no light pollution, and the high mountains and cliffs allow the adventurous to get up higher for even better views and photos of the northern lights. The remoteness of the region, which makes it so attractive, also brings a few drawbacks. You’ll have to travel by land from Reykjavik as there are no airports. As you’d probably expect, it is difficult to travel round the region without a specially-modified vehicle and there are few settlements with any hotels or amenities. Most people visit this region with the support of a tour operator, and in the winter it is necessary to visit with a guide. Askja is in an even more remote part of the already-remote highlands. Tours visit the area and the scenery is mind-blowing. If you think it looks like a moonscape you won’t be surprised to learn that astronauts on lunar missions were brought here for part of their training. The mountain is known as a caldera. It has a 1,510 metre deep cauldron-like depression at its centre (hence its name) which forms a green-blue lake that smokes in the midday sun during the summer. The area is accessible for only a few months of the year (between late June and early October) with experienced guides. Landmannalaugar is a geothermal area surrounded by spectacular and colourful mountains where visitors can bathe in the natural hot springs. It’s an experience you won’t want to miss. Sprengisandur is a stunning route and perfect for long or short hikes during the summer. The longer the hike the more you’ll need to plan, and the more physically fit you’ll need to be. It is an isolated area, rich with legend and superstition. In earlier times, when beliefs in elves were common, nervous travellers would ride their horses so fast that they became exhausted: sprenja in Icelandic--which is how the area got its name. Now, travellers will want to take their time and soak up the unforgettable views.